£130m project to transform University of Lincoln into "beacon of learning"
A £130 million investment providing modern facilities across the University of Lincoln campus has been announced. In what is believed to be largest ever capital investment in the city, the programme will support a number of existing and new developments on campus, including The Isaac Newton Building to house the College of Science and further improvements to The Joseph Banks Laboratories. The programme will also see the development of The Sarah Swift Building on the site of the former Pea Warehouse for the university’s School of Psychology and School of Health and Social Care, and new on-campus accommodation at Marina Court, housing up to 500 students. Both are in the early stages of planning but are scheduled to be completed by 2017. The final part of the programme will support a further expansion of the National Centre for Food Manufacturing in Holbeach. Professor Mary Stuart, Vice Chancellor of the university, said: “In a region which is one of the worst in the UK for cold spots for access to higher education, the University of Lincoln is a beacon of learning. Put simply we are lighting up Lincolnshire. “Funding from the government through the Higher Education Funding Council for England, the Local Enterprise Partnership, Siemens and the European Investment Bank, has made this project possible. It will drive economic growth in the region and help address skills gaps in key industries. 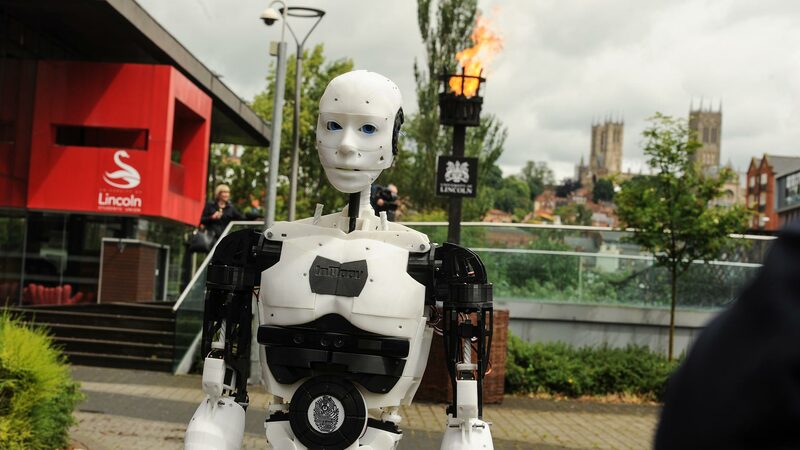 “To symbolise the university’s role as both a catalyst for growth and a beacon of learning in the region, a giant beacon was lit in the heart of the campus with MARC the robot from the university’s School of Computer Science lighting the ceremonial fire. The university currently has an annual income of £130 million and is estimated to contribute at least £300 million to the regional economy each year, sustaining more than 3,000 jobs. The capital investment includes £48 million from the European Investment Bank, through a long-term loan. Jonathan Taylor, Vice President of the European Investment Bank, said: “Investment in new teaching and research facilities is essential for ensuring that graduates in Europe have the high-level skills needed by cutting edge companies and public services. 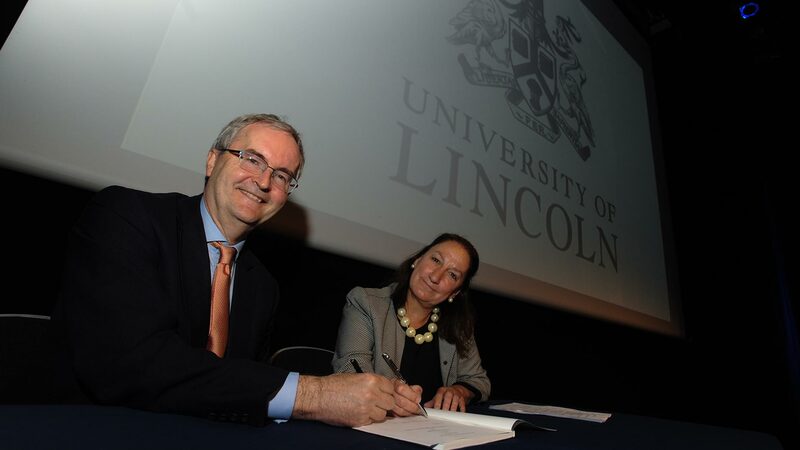 “New investment by the University of Lincoln will strengthen research excellence, enable students to benefit from the latest equipment and laboratories, and build on the university’s distinctive student experience.